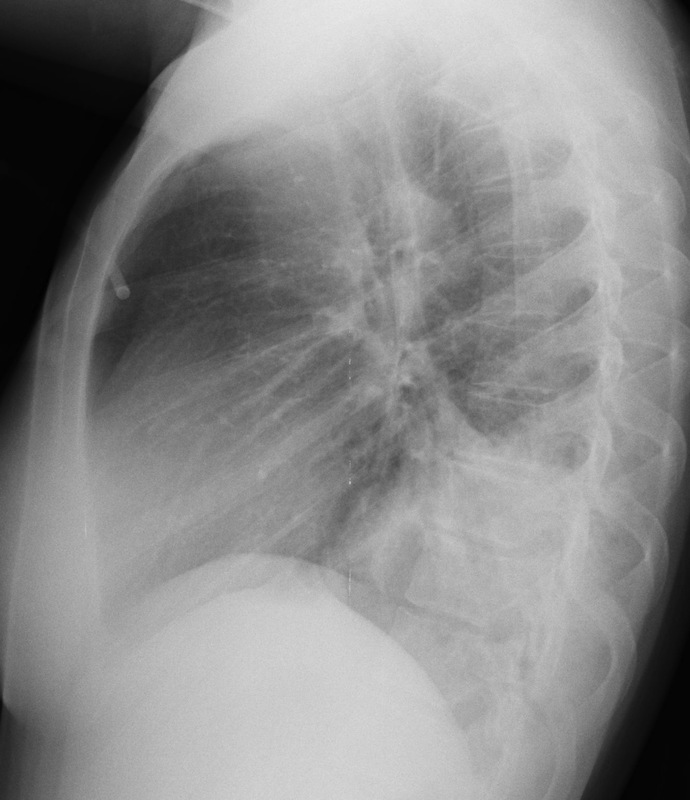 Today I am presenting chest radiographs of a 66-year-old man with cough and low-grade fever. You have one week to post your answers. The correct answer will be given during the webinar of Tuesday 18 at 12:30 P.M. I would like to start a new section entitled “The wisdom of Dr. Pepe”. I like aphorisms and in this section I would present an aphorism that will summarise the teaching point of the cases presented. Today I want to show two different cases. 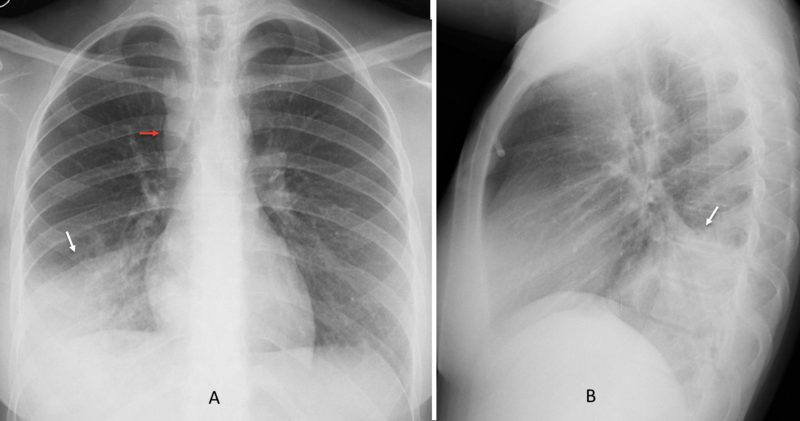 Radiographs of Case 1 belong to 86-year-old woman with chest pain. 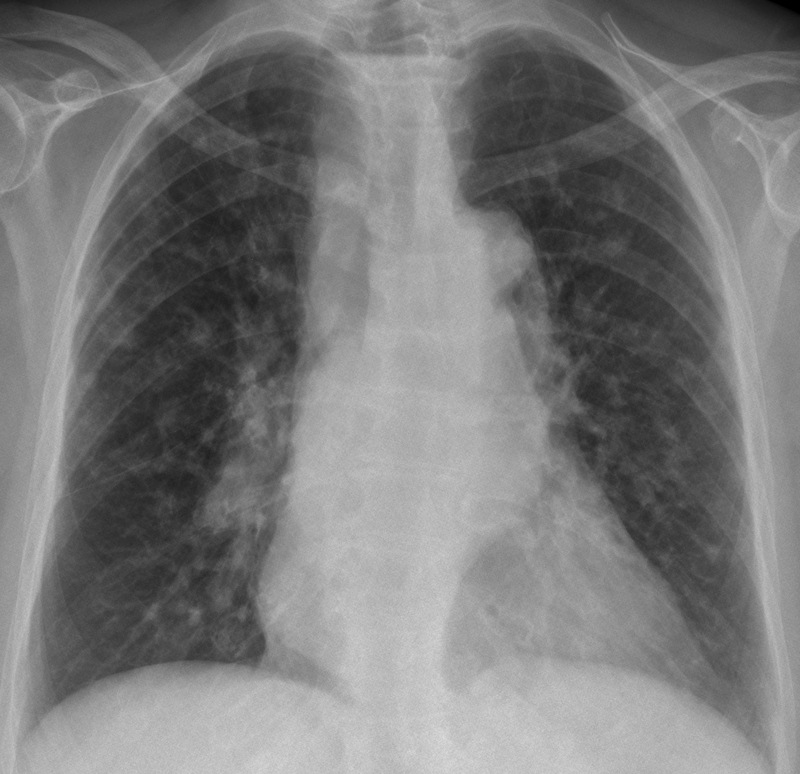 Pulmonary abnormalities are unchanged in comparison with a radiograph taken one year earlier. Check the images below, leave your thoughts in the comments section. We will publish new images on Wednesday and the answer on Friday! 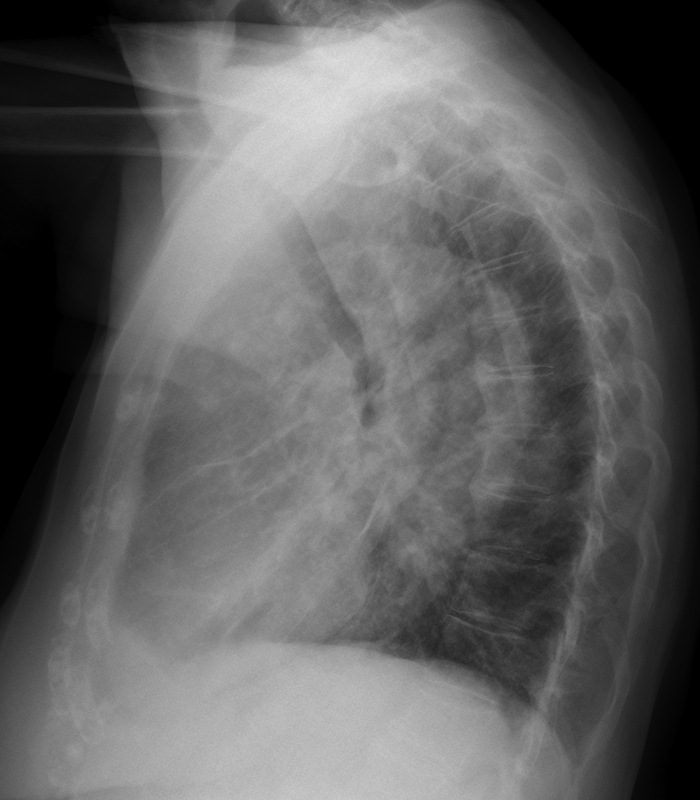 PA radiograph show widening of the left mediastinum caused by an elongated aorta (A, arrow). The right mediastinum is also widened, going all the way up to the neck (A, red arrows) with a visible air-fluid level at the top (A, yellow arrow). The appearance is typical of a dilated esophagus. The lateral view shows similar findings, with the trachea pushed forward by the dilated esophagus (B, red arrows) and a posterior double contour which represents the descending aorta (B, arrow). Small pulmonary nodules are visible in both lungs. 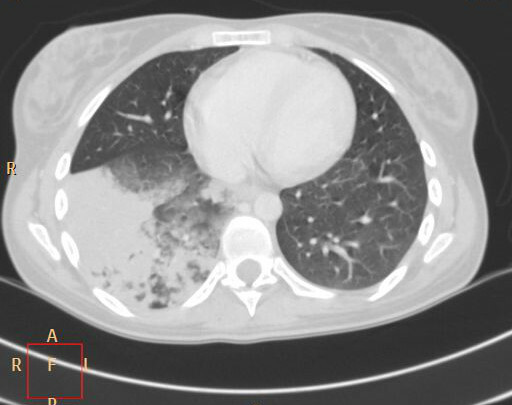 Axial CT confirms the marked dilatation of esophagus (C, arrow) and the pulmonary nodules. There are also enlarged lymph nodes in the mediastinum (D, arrows). The combination of dilated esophagus and pulmonary nodules suggests two possible etiologies: carcinoma of distal esophagus with metastases or achalasia with aspiration. 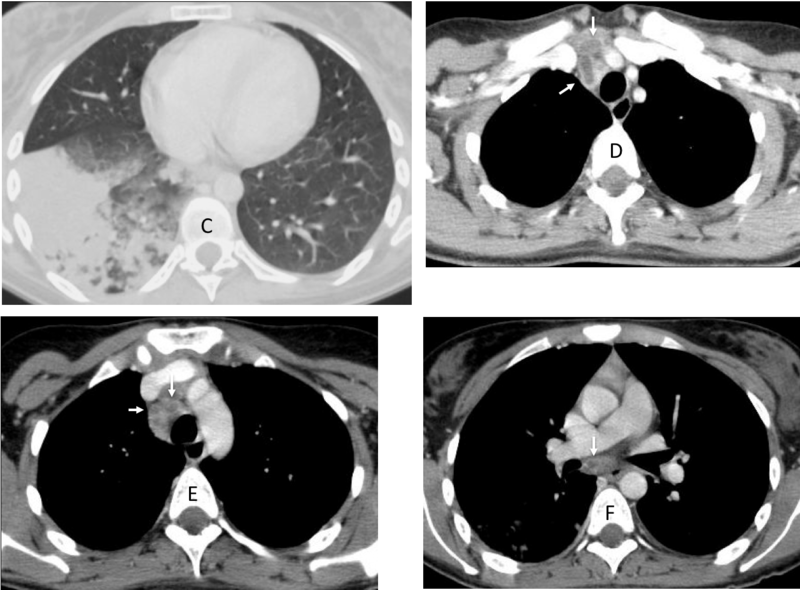 In this particular case, the pulmonary lesions did not change for two years, which exclude metastases and points to post-aspiration granulomas. It is well known the relationship of achalasia with pulmonary infection by atypical Mycobacteria. Final diagnosis: achalasia (surgically proved) with pulmonary aspiration, possibly atypical TB granulomas (unproven). 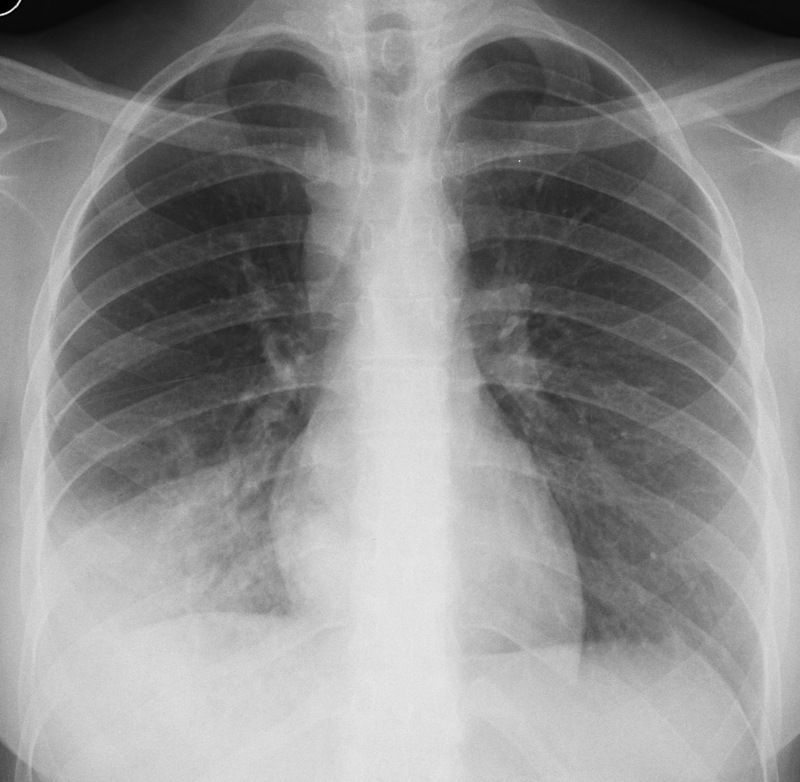 Radiographs of Case 2 belong to a 23-year-old woman with cough and low-grade fever. Showing CT images of the chest. Do they help you? 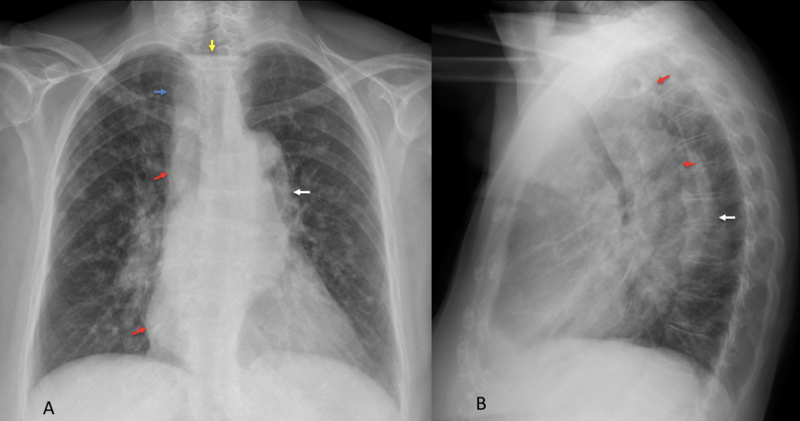 PA and lateral chest show non-specific air-space disease in the right lower lobe (A-B, arrows). In addition, there is marked widening of the right paratracheal line (A, red arrow) suggestive of mediastinal lymphadenopathy. 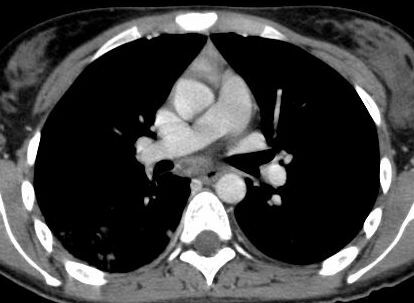 Axial CT with lung window shows air-space disease in the RLL. The appearance is non-specific and there is no stretching of the bronchi (leafless tree) which, when seen, is typical of lymphoma. 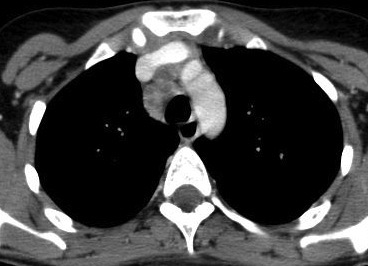 Enhanced axial CT confirms enlarged lymph nodes in several locations. All of them have hypodense centers (D-F, arrows). Lymph nodes with hypodense center may occur in several processes (treated tumors, Whipple’s, etc. ), but in the appropriate clinical situation, the first diagnostic consideration should always be tuberculosis. Although TB usually affects upper lobes, involvement of lower lobes can occur. 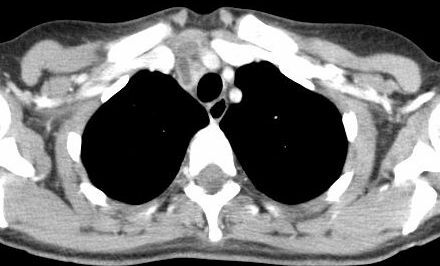 Final diagnosis: tuberculosis of RLL with widespread mediastinal adenopathy. Congratulations to Olena and MK for their participation and correct diagnosis. I am showing these cases to emphasize the importance of examining carefully the radiographic images. Aside from having the same etiology (TB), both cases have multiple findings and the sum of all of them are the clue to the right diagnosis. In satisfaction of search, findings are missed because we don’t search for additional abnormalities after the first one is found. When there are multiple findings, additional ones are discovered less than 50% of the time. So, once again, try to avoid satisfaction of search. Remember that it accounts for approximately 22% of our errors. Don’t let one abnormal finding keep you from looking for another. It has been one week since we published the webinar and we would like to send you the pictures we promised. However, we made a big mistake: we didn’t provide for your adding your name and e-mail address to the answers, so I can’t know who’s right and who isn’t. Since this is our fault, I will honor my word: once you have seen the webinar, you decide if you got three or more correct answers. If so, write a comment on this entry with your name and e-mail address and a dedicated picture of Dr. Pepe will be mailed to you. Sorry about the inconvenience. I trust your honesty. Scout’s honor. presenting today chest radiographs of a 70-year-old man with ischemic heart disease and dyspnea. 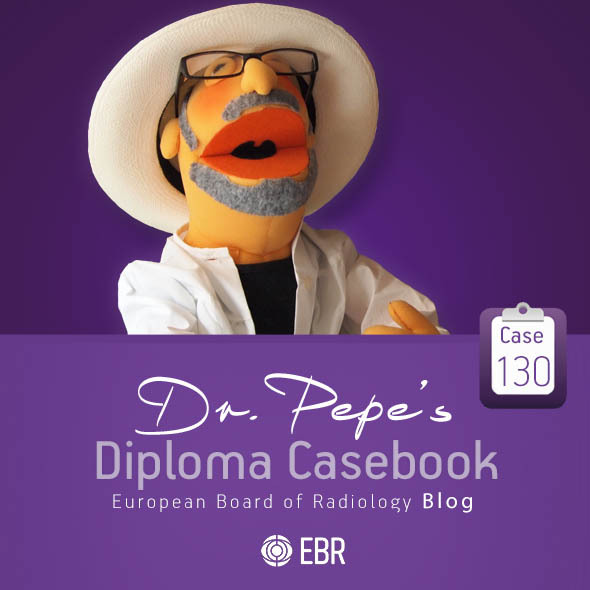 Dr. Pepe is preparing a new webinar! 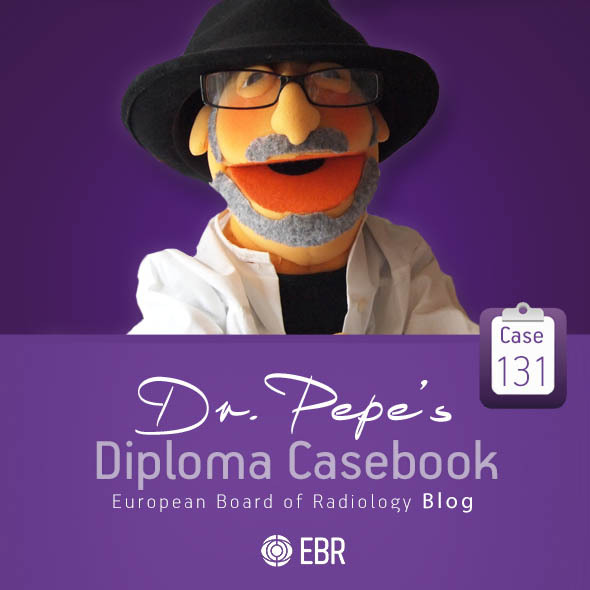 I’m preparing a cycle of six webinars about basic interpretation of chest radiographs. 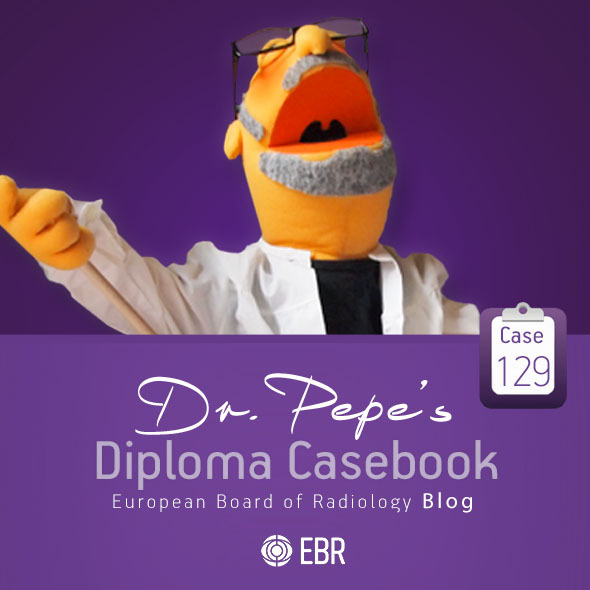 The first one will be about the PA view, and today I’m presenting six cases that will be shown during this webinar. You can respond in the blog, as usual. Answers will be given on Monday, November fifth, when the webinar will be posted on the Diploma web. 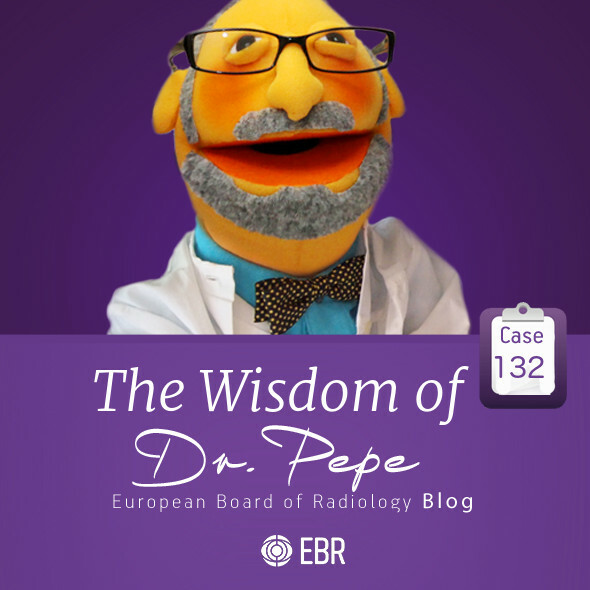 To encourage your participation, any of you who get three or more right answers will receive a dedicated picture of Dr. Pepe in their mail. Leave your answers in the comments if you want to receive the picture!